Written by an expert with over 30 years of experience in venture capital, this three-volume set provides the most comprehensive treatment of alternative investment strategies available. 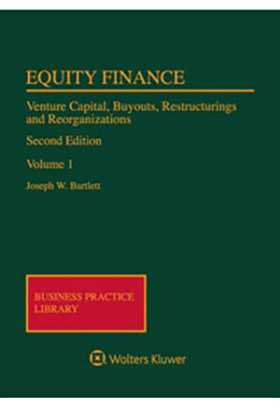 Volumes 1 and 2 cover the entire range of high-risk/high-reward investing, including equity placements, IPOs, buyouts, restructurings, joint ventures, pooled investment vehicles, and merchant banking. Volume 3 contains state-of-the-art forms annotated to the discussion in the first two volumes.